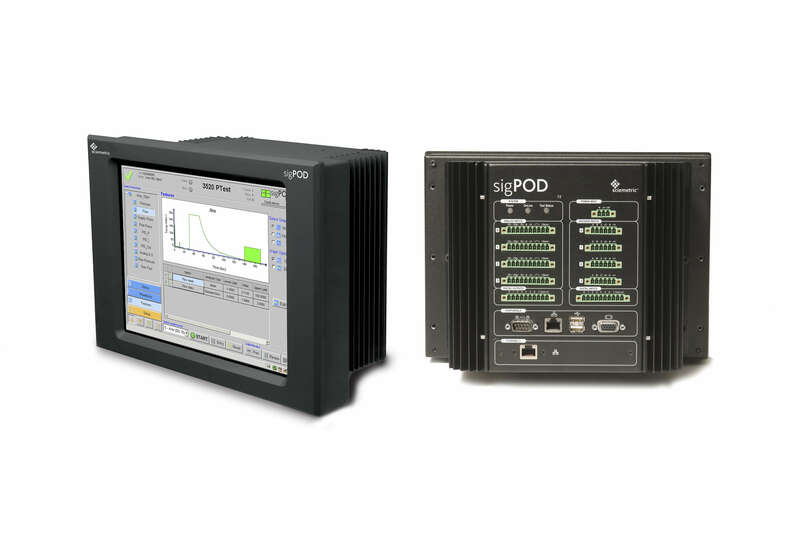 sigPOD is Sciemetric’s out-of-the-box solution for monitoring test and assembly processes that standardizes part test and process monitoring onto a single platform for manufacturers. With sigPOD, process signature verification can be deployed across the production line on virtually any manufacturing process. Gain the data-driven insight you need to compete in an Industry 4.0 world. Many manufacturers continue to rely on process monitoring systems that don’t collect and analyze the data to catch defects as they occur. If defects are flagged further down the line, it can take days or weeks to trace and address root cause. Faulty units can end up in the field. Sciemetric’s intelligent process monitoring systems empower your team to take a more effective approach to ensuring quality. By monitoring and analyzing critical features in real time, our systems identify and reject defective parts on the line before they can advance to the next step. Best of all, our systems are universal and agnostic. Equipping your line with this capability doesn’t require a costly rip and replace. A digital process signature is a visual representation of everything that happened through every millisecond of a manufacturing process or test cycle. It is visualized as a waveform through process signature verification (PSV). By analyzing and collecting more data points than is typical of other quality assurance systems, PSV provides the most accurate, reliable, and repeatable measurement of manufacturing processes. This provides a baseline profile that makes it easy to determine pass/fail in production real-time and establish a range of acceptable deviation. Defects can be caught quickly, before the part moves on to the next station.